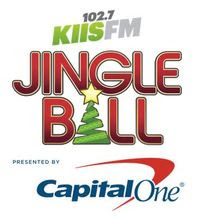 Shawn Mendes, Calvin Harris, Camila Cabello, Alessia Cara and Cardi B are among the acts that will be riding in Santa’s sleigh as part of KIIS FM’s Jingle Ball 2018 at The Forum on 11/30. The KIIS FM Jingle Ball is part of iHeartRadio’s annual holiday tour, which this year will play Dallas, San Francisco, Minneapolis, Boston, Philadelphia, New York, Washington, D.C., Chicago, Atlanta, Tampa and Miami/Ft. Lauderdale. Ryan Seacrest, announced the list of performers for this year’s show, which includes Khalid with Normani, Dua Lipa, G-Eazy, Bazzi and Bebe Rexha. A Capital One Cardholder pre-sale will begin Wednesday; KIIS Club VIP members will have access beginning Saturday; and the general on-sale starts Monday. The official charity for KIIS FM’s Jingle Ball is the Ryan Seacrest Foundation, which will receive $1.00 of each ticket sold.